Since its origin in the mid 80's, Constraint Programming (CP) has become a widely used programming paradigm for solving constraint satisfaction and optimization problems. The distinguishing feature of CP is that it provides a clear distinction between the problem modelling and the algorithms and heuristics used to solve it. The first international summer school on constraint programming is organised for PhD students, researchers, and practitioners interested in an extensive introduction to CP concepts such as problem modelling, constraint propagation, global constraints, and search. Leading experts in the field will give invited tutorial lectures on different aspects of constraint programming along with practical exercises. Lecturers will evaluate the work of the students. This will provide the participants with a useful feedback. On request, lecturers will evaluate the work of the students, so that Ph.D. students will be able to use the school to cover some of their coursework. The school will take place in hotel "Villa del Mare" in Acquafredda di Maratea, in the Basilicata region of Italy. 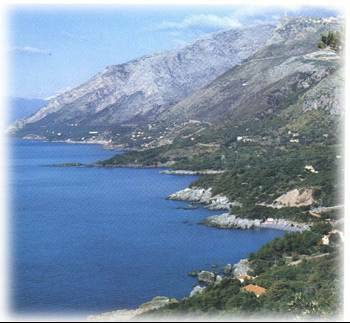 The hotel is on the Tyrrenian sea, in an area where the mountains meet the sea, called the gulf of Policastro. Information on how to reach the school location can be found here. The early registration fee (by July 15) is 300 euros. The late registration fee (by August 15) is 350 euros. To register, please fill the registration form and fax it to the number indicated in the form, after having paid the registration fee by bank transfer by the due date. If a student cancels its participation by September 7st, we will retain 100 euros, plus the bank expenses. After that, we need to retain the whole amount. Some student grants will be available to cover part of the expenses of some students. Students who wish to request a grant should arrange that their PhD supervisor sends an email to Prof. K.R. Apt (apt@cwi.nl) describing the state of the Ph.D. thesis of the student and explaining why the grant is requested. The request should be sent before August 15, 2005. Information about the allocated grant will be sent by August 22nd. The cost of a double room is 80 euros per day (per person), while a single room costs 90 euros per day. This cost includes all meals. To reserve your room at hotel Villa del Mare, please fill the accomodation form and fax it to the hotel before August 20.